Like food? How about some tasty pasta & meatballs? Gluten free- we've got that! Plus, designer salads, fancy desserts, and great company! All for $10 per person (and that great feeling of satisfaction that you're helping a shelter dog find a forever home)! Want to adopt a shelter dog? 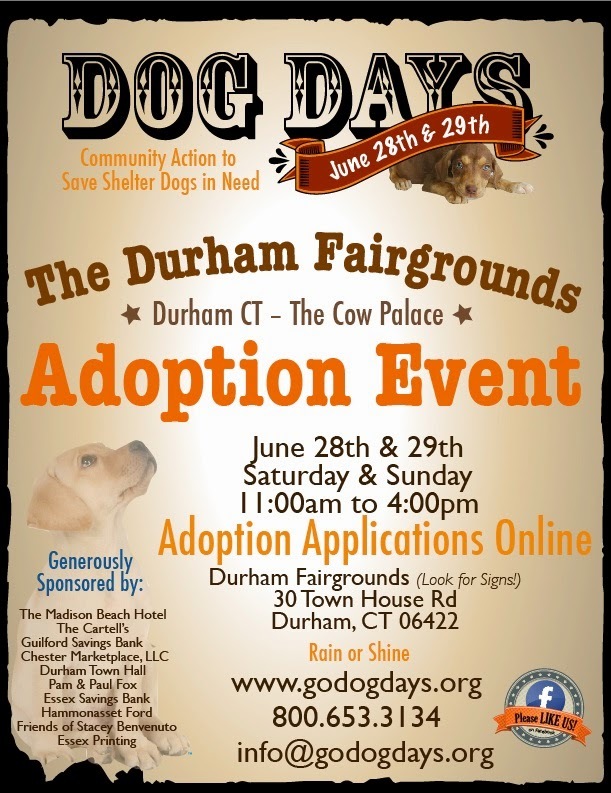 Check them out online at www.godogdays.org, apply to adopt so we can check all your references BEFORE you come to meet your new best friend (s)! Like to feel good? 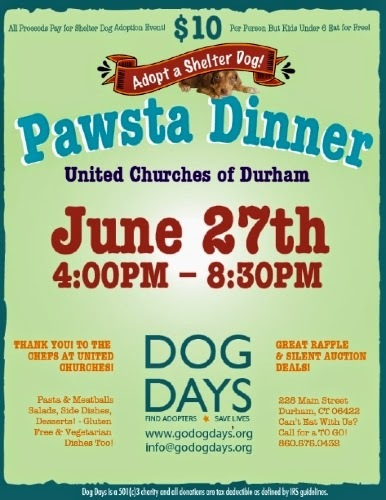 Sign up online to sweat it out with the best volunteers this side of the Mississippi (http://www.godogdays.org/dog-days-volunteer-information.htm). Come ready to make a difference!